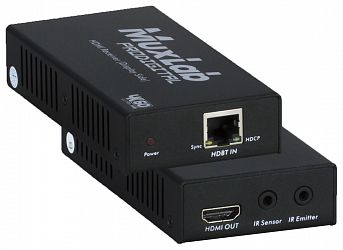 Muxlab 500412 är ett lite annorlunda HDMI matris kit, med 4 HDMI in och 3 HDBaseT ut + en HDMI ut och stöd för HDMI 2.0 (4K/60 4:2::0) och HDCP 2.2. De 3 medföljande mottagarna strömförsörjs genom matrisen över s.k PoC ( Power over Cable ) till en distans upp till 70 meter vid en upplösning på max 1080p. The HDMI 4×4 Matrix Switch Kit, HDBT, PoC, 4K/60 (4:2:0) allows up to four (4) different HDMI sources to be connected and/or distributed to up to four (4) HDMI displays. The unit supports three (3) HDBT outputs for long distance connectivity and one (1) HDMI output for local connectivity. 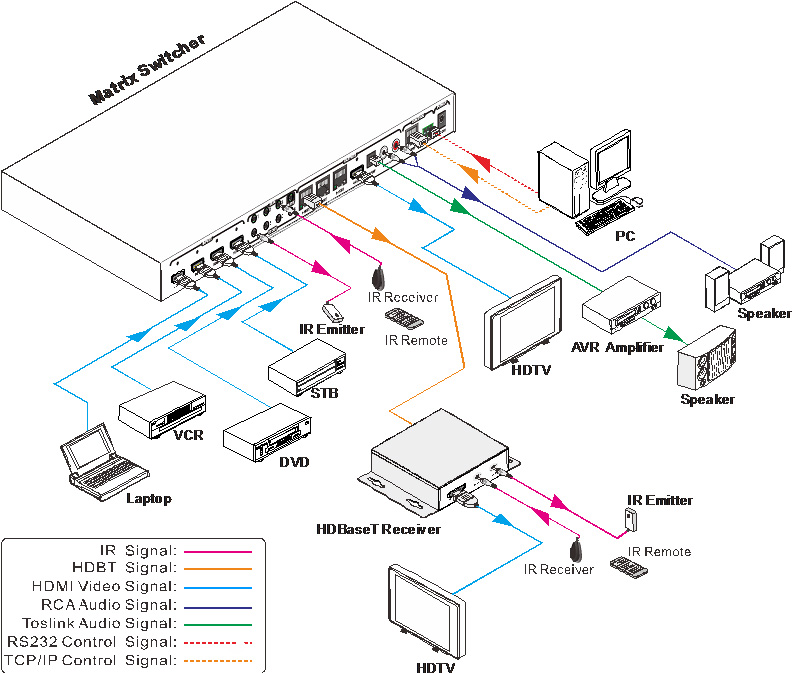 The Kit includes three (3) HDBT PoC Receivers which are powered by the Matrix Switch, and support distances up to 70m at 1080p and 40m at 4K via Cat5e cable. Management functions include front panel pushbutton, IR, RS232 and webserver interface. Software updated are supported via a USB port.